Hi, I'm Sarah and I blog over at Creative Ramblings. 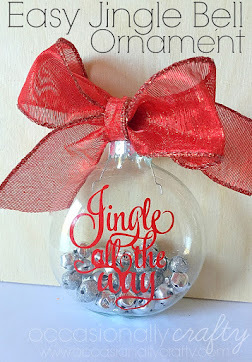 There I post projects from simple crafts to furniture and room revamps and everything in between. 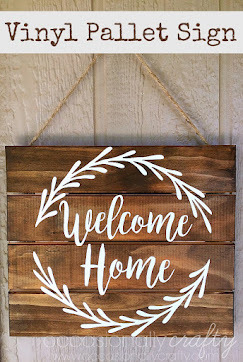 I am a sucker for a thrifty easy craft and love adding my own creative touch to my home. 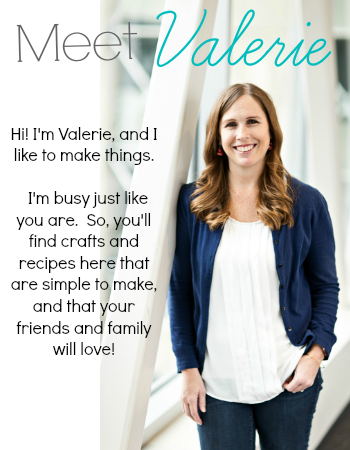 If you like what you see here I'd love for you to stop by and connect with me. 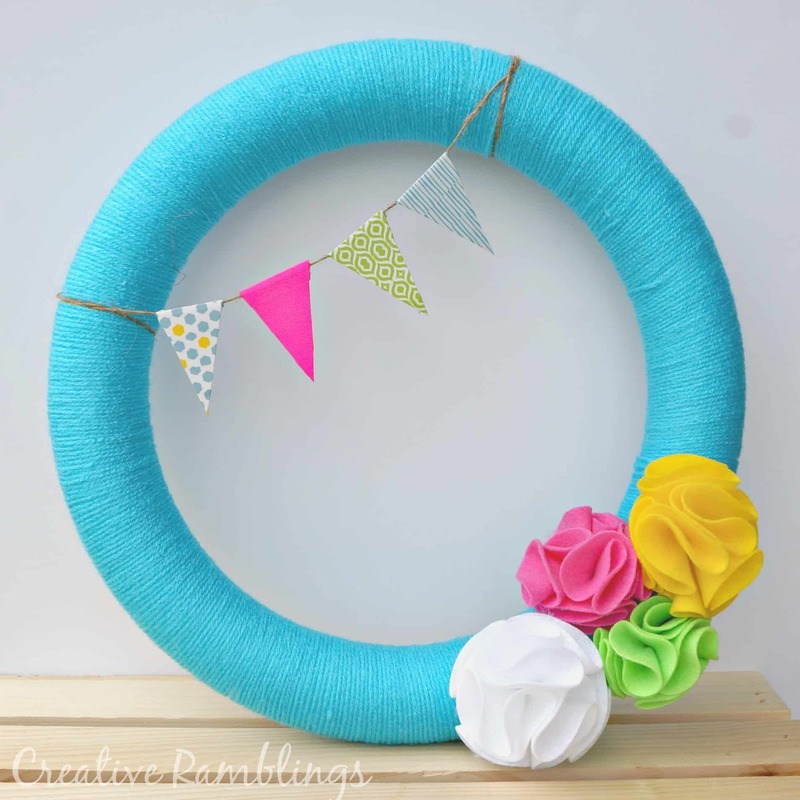 Today I am sharing a bright and bold summer wreath with you. I always have a wreath, or something like it, on my front door. It adds to my front porch and welcomes guests into my home. I try to keep up with the seasons and holidays without going overboard. Last summer I had a burlap wreath with red white and blue medallions. Patriotic yes, but not so much that I couldn't leave it up all summer. 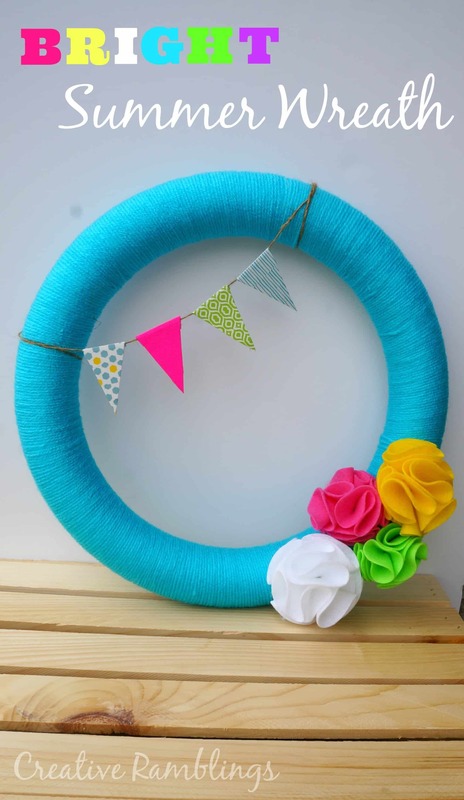 For this wreath I started with a foam wreath and aqua yarn. I simply wrapped the wreath, no glue required. I recommend doing this while watching TV or something along those lines; it takes a while. Then I added some bright felt flowers. These are the same flowers I used to make headbands for my girls. 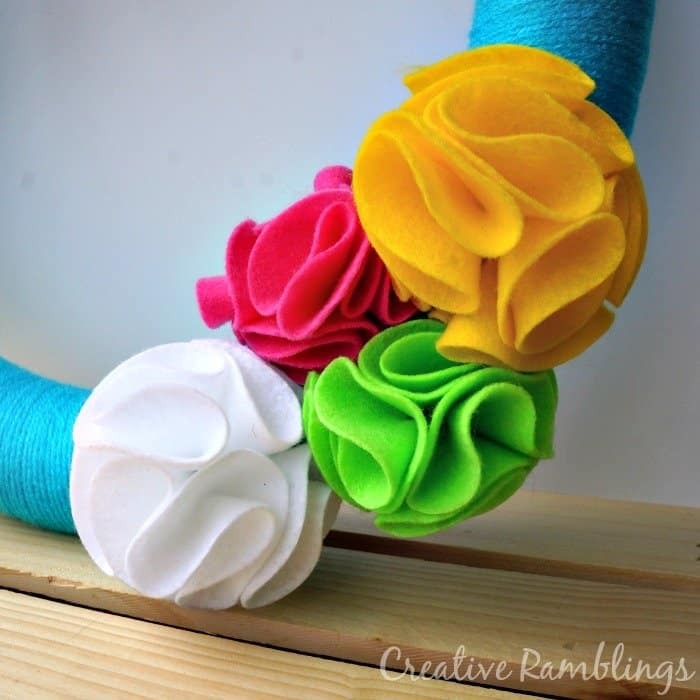 You can find the super easy no sew tutorial here Felt Flower Headbands. Once I had the flowers made I hot glued them to the wreath to create an eye catching cluster. It still needed something. I went to my washi tape stash and got to work on a little banner. I cut triangles from card stock and covered each one in a different tape. I attached them to a piece of twine and strung it across the wreath. Even with a screen in front of it, you can see this colorful wreath from the sidewalk. I love the summer statement it makes. 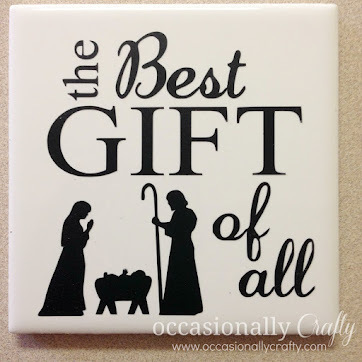 What's on your front door this season? Thanks Sarah! That is just a gorgeous, fun wreath! We're so happy you shared it here! Now, everyone- remember to enter our giveaway, and we'll see you here tomorrow for a delicious summer recipe from Confessions of a Cooking Diva!